As our children continue to grow, the daily stresses can have a negative impact on an ever growing body. traumas often occur during the process of birth but frequently escape diagnosis. Infants often experience lasting neurological defects. even under normal conditions, is frequently the first cause of spinal stress. After the head of the child appears, the physician grabs the baby’s head and twists it around in a figure eight motion, lifting it up to receive the lower shoulder and then down to receive the upper shoulder. This creates significant stress on the spine of the baby. Growth patterns suggest the potential for neurological disorders is most critical from birth to two years of age, as this time is the most dynamic and important phase of postnatal brain development. Over sixty percent of all neurological development occurs after birth in the child’s first year of life. This is why it is important for your child to get adjusted during the first year of their life. 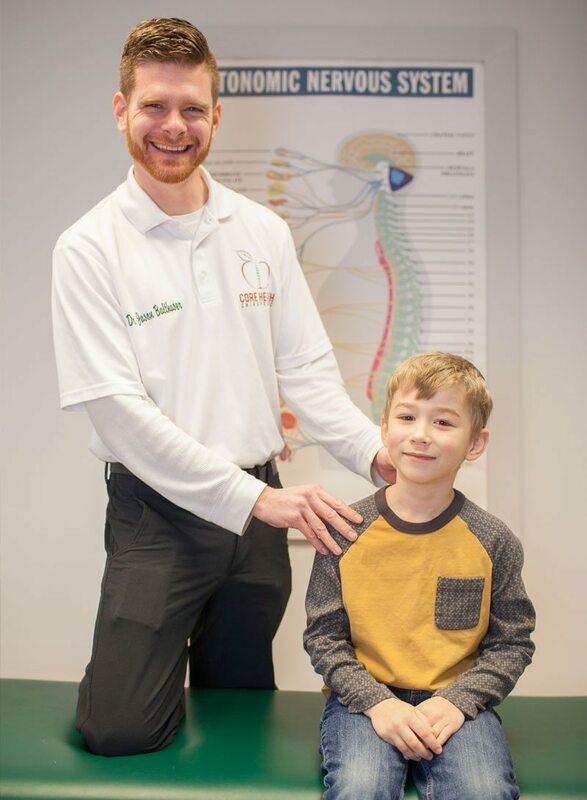 Core Health Chiropractic wants you to read and post comments on our Blog about the Chiropractic Care Services our Chiropractors offer the Berks County area. Subscribe to our mailing list to stay updated on the latest news from our office and healthy tips!